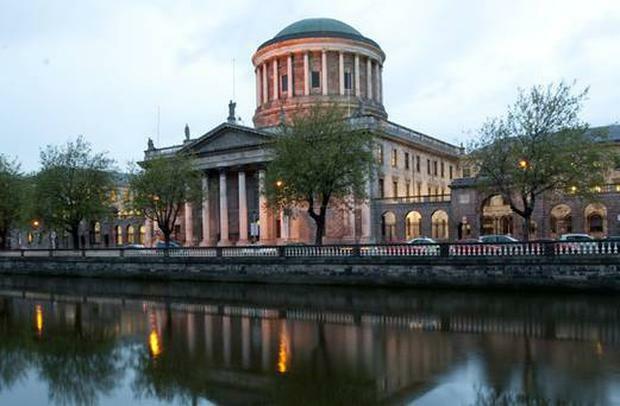 The president of the High Court has fixed June 26th for hearing three separate applications for permission to challenge the result of the referendum on the 8th amendment. One of the challengers, Charles Byrne, who has raised concerns whether a number of student voters at NUI Galway were properly registered, also wants to be provided with copies of the marked register of voters. His counsel Kenneth Fogary SC said his side had information from Garda sources that an estimated 600 students had queued daily at NUIG Galway to be registered to vote and Mr Byrne believed a number of these were not properly registered. Mr Justice Peter Kelly, made directions on Monday for a June 26th hearing of the three applications for permission and said Mr Byrne could apply to the court next week for the marked register information if he does not get it in the interim. Frank Callanan SC, for the State and Referendum Returning Officer Barry Ryan, and Eoin McCullough SC, for the Referendum Commission, said they were anxious the applications be heard as speedily as possible. A petition can only be brought if the court considers the applicant has provided prima facie evidence the issues being complained about materially affected the May 25th referendum result. The petitions are by Mr Byrne, a musician, of College Rise, Drogheda; Joanna Jordan, a homemaker, of Upper Glenageary Road, Dun Laoghaire; and Ciarán Tracey, a retired public servant, from Leitrim village. Ms Jordan, who previously lost a challenge to the 2012 Children's Referendum, and Mr Byrne, are represented by lawyers while Mr Tracey is representing hiself. He said he was unable to get lawyers to represent him on a pro bono basis. Today, Mr Fogarty, for Mr Byrne, said the evidential burden for petitions imposes a standard of a prima facie case at the leave stage and his side may need more time to gather the relevant information. While the State was urging a speedy hearing, recent pronouncements by the Taoieach and Minister for Health indicated they did not believe the bringing of the applications would derail the time scale for the introduction of abortion legislation, he added. Mr Justice Kelly said he did not consider the extent of information required at the actual hearing of a petition, as opposed to the application for leave bring a petition, are the same. If Mr Byrne was unable to secure the marked register information being sought by him, he could apply next Monday for it, he added. Mr Fogarty said his side's concerns include about registration of students "who should not have been registered on the criteria of eligibility"; tallies suggesting turnout of more than 100 per cent in some cases and whether RTE's coverage of the referendum campaign was balanced. Mr Byrne has also claimed the Referendum Commission’s information campaign and booklet failed to convey the nature, breadth and legal effect of the proposal being voted upon. He further claims “mis-statements” were publicly made by the Taoiseach and Minister for Health during the referendum campaign. Mr McCullough said the Referendum Commission had no function concerning collation of information on the results of the referendum. Mr Callanan said the State parties would consider Mr Byrne's request for the marked register but were concerned some of grounds being advanced were "entirely nebulous". Mr Tracey's case centres on the Referendum Commission’s information campaign and booklet. He claims it included a “serious” omission in not referring to a decision of the European Court of Human Rights in the case of D v Ireland concerning the circumstances surrounding abortion in Ireland for fatal foetal abnormalities. Ms Jordan, represented by Killian McMorrow BL, has made various claims, including that large numbers of potential no voters were unable to vote due to "de-registering" and of an unexplained "swing" towards the Yes side. She also claims "thousands of young Irish citizens who were paid to return to vote" were not questioned at polling stations about their time of residency abroad.